This roof contains only two slops which are directly contact with walls. There are no extra benefits of this roof. This roof contains two slop slides which are diractly contact with walls and this roof contains both side triangular extension. This roof has ridge in line with the line of building entrance. This roof contains one or more then one gables at the top of hip of the roof. This roof having a shed addition on the one side or both sides which provide the extra space in the home. This is a two sided roof which is shallow in middle side and steeper lower slop on each side. This is usually use in barns buildings due to unsuitable in heavy wind and snowfall envirnment. According to its name it has a flat surface and roof is slightly pitch to allow water drainage. This is a most commom roof and mostly use in commerrcial building like offices and warehouses. In asian countries this is a most common roof. This roof is look like butterfly wings basically it is a V-shaped roof and it is slightly pitch to allow water drainage. In mid century this rood is mostly use in USA. This roof is look like gable roof the difference is that it contain a extended window. The best advantage of this roof that the sun light is converted in lift room. This type of roof is mostly use in cold envirnmental areas. On the other hand we can say a double gable roof is called M-shaped roof. This roof contains two bearing walls and two slops which are connected from middle and from a ‘M’ shape. It is a pitched roof that slopes down from one side. Saltbox houses usuallly has double stories at pitch side and single story at down slop side. It has a single flat surface which is pitched at a steep angle to allow water drainage. It is also known as skillon roof. The benefits of this roof is that this is very cheap and easy to construct. 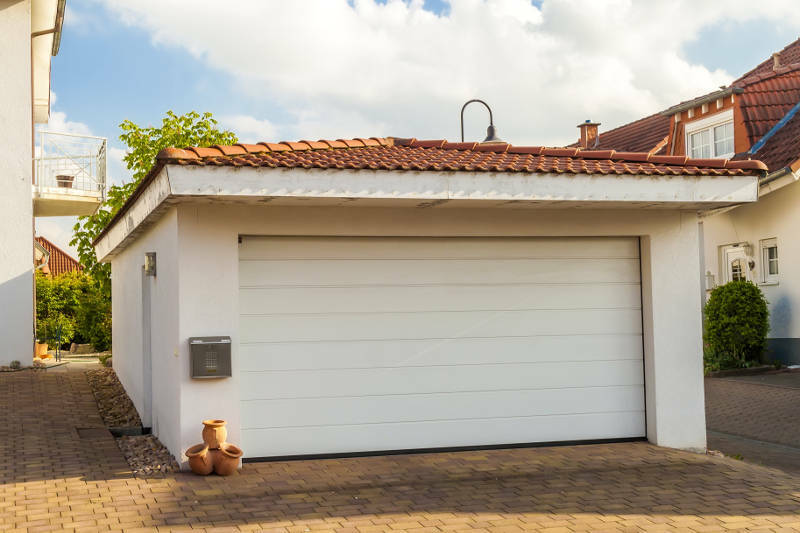 So, there are most common roofs which use for garage and for home because the home roofs and garage roof are interlink with each other due to enhance beauty of home.